Alternate view of our new book-shaped wooden box, showcasing the carved wooden pages. 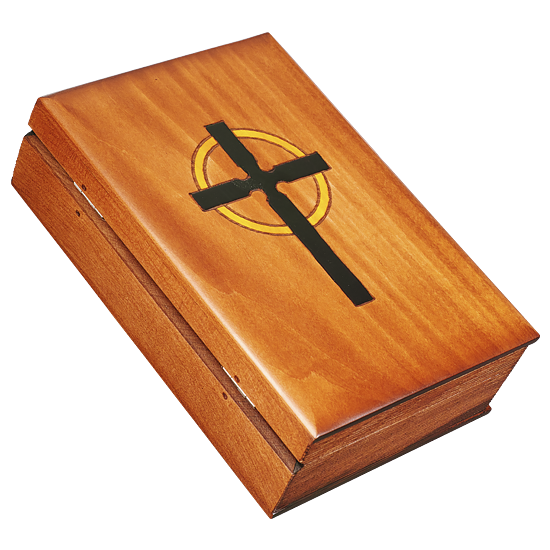 A similar pattern to our MM-13, this medium-large box has a design with a black cross over a halo. 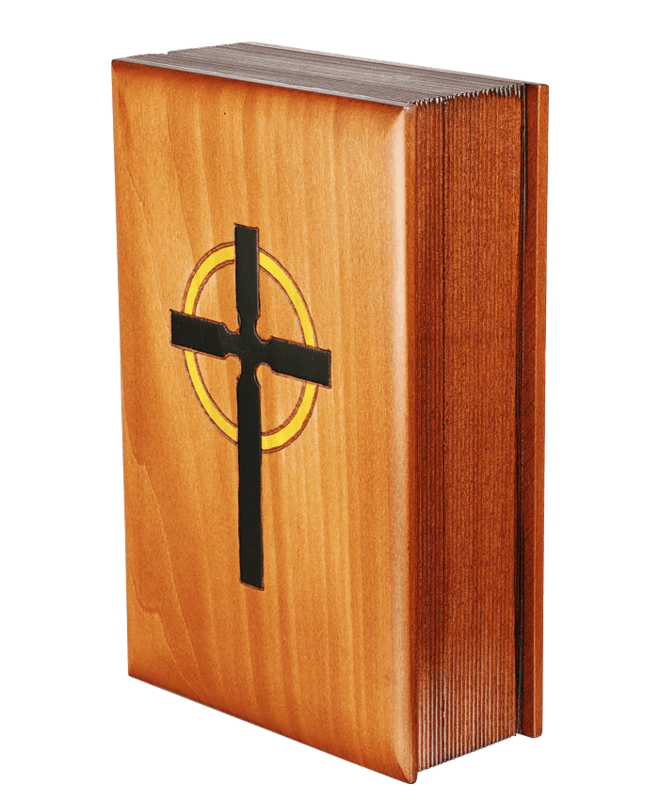 A first for us, we've created a book shaped box out of wood. This book shaped box has smooth spine separated by the hinge, and a wonderful imitation of pages that are rendered beautifully. The front and back "covers" extend opposite the side of the spine to give this box a more "booky" look.